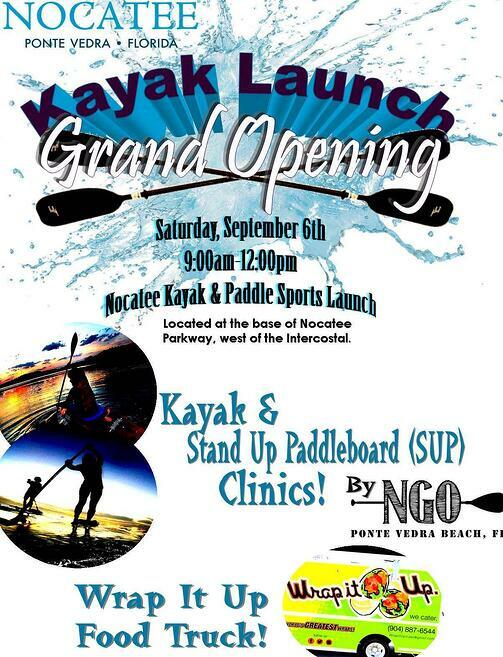 Nocatee Kayak & Paddle Sports Launch Grand-Opening Celebrates NEW Community Amenity! Get ready, residents… the Nocatee Kayak & Paddle Sports Launch Grand-Opening will be Saturday, September 6th, from 9 am til 12 noon. Excited to be a part of this highly-anticipated community event and to provide Stand-Up Paddleboard (SUP) and Kayak Clinics will be... local outfitter, North Guana Outpost (NGO). Those interested in taking advantage of the FREE clinics by NGO should come early to reserve their spot. To fuel the fun, Jacksonville’s Wrap it Up Food Truck will be on site with a variety of made-to-0rder breakfast and beverage options. The new community facility is located at the base of the Nocatee Parkway, west of the Intracoastal Waterway. On-site parking makes it a convenient spot for residents and locals alike to launch any non-motorized water sports and explore the local waterways. This Intracoastal community amenity adds to Nocatee residents’ long list of ways to enjoy water recreation right at home. To learn more about the recreational opportunities that come with living in close proximity to the water, click HERE. 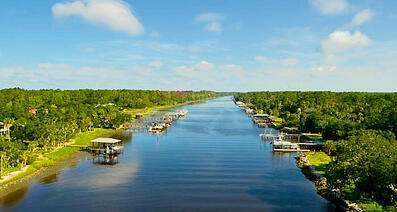 For more information on new homes available at Nocatee, stop by the Nocatee Welcome Center or call 1-800-NOCATEE.